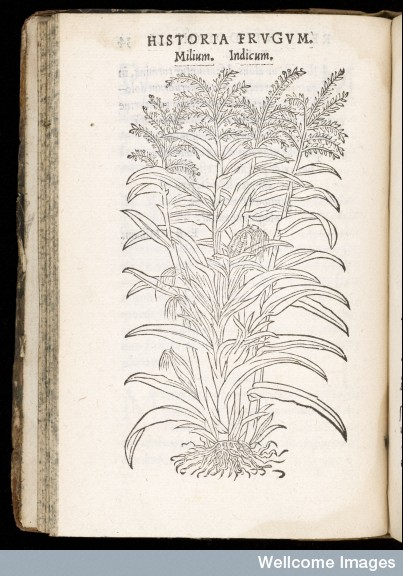 Dodoens, Rembert [Rembertus Dodonaeus]. De frugum historia liber unus. Antwerp: J. Loëus, 1552. Provenance: Morris. — Richard Bennett. — Sotheby 1898, lot 242 (sold to Henry Wellcome for £1 10s.). — Henry Wellcome. — Wellcome Library (Closed stores EPB / A 1810/A). References: Ellis valuation, fol. 1b, no. 7 (10s.). — Ms catalogue (2), no. 510. Digital versions: EEBO (Morris copy). — Internet Archive (Morris copy).